i can’t wait, Rachel.parties are good. Hi Louise, thanks so much for stopping by. I’m still figuring out how to give out the digital party favors, but don’t worry, I’ll get there. Welcome back, you crazy woman. Louise Behiel does awesome psychology posts. Ginger does writersbutt etc. The key for me was to find something that tickled my funny bone or inspired me and something I loved doing. I rarely tackle a serious subject on my blog, I do that on the blogs of others who ask me to participate for a specific purpose because they’ve gotten to know me a little. I rarely talk about my books either other than in passing, but others ask me onto their blogs to talk about my books. So I think I’m keeping the faith with Kristen’s outlook and ideas. So for me, it’s been talking about bringing up kids. I’ve three so you can imagine the endless stories. Or talking about relationships and the world of dating or body issues. I get loads of emails on relationships. Who died and made me the ‘go to’ expert? Could it be because I write romance and have connected with readers? I suspect that has something to do with it. Blogs are all about voice. One the best comments I ever received was that she could ‘hear’ my voice and it matched my books. Did a happy dance over that one. Also it takes time, Rachel, so worry not, you’ve been a very busy girl, so you could share your experiences of the ‘fests’ for those of us who live across the pond or couldn’t make it. Parties are good! We can all use a party. Hi Christine, thank you so much for your support and your great advice. I have written up a few of the conference experiences, along with helping to organize one, so that would be an easy topic to cover. Thank you so much. I was worried that I just didn’t want to add to the noise, that when people came to my blog, they would go away with some little insight, or something that made them smile. You made me smile today, sweetie. Have a gorgeous day. OK, enough requests from me. (Although, me and everyone else would love to see posts on your newsroom life. How cool must your CNN stories be?) What can we do for YOU, besides pimp your posts out? Surely there must be something we can do to help a WANA Sistah out! Oh Jenny, I wish to heck you could have joined us at Tfest, it was a blast and a half. Next year! As for the pink tiara, let me rummage through my collection (yes, I have a COLLECTION of tiaras… I even tried making one for my wedding, you’ll be hearing about that soon) I’ll post pix of the pink one for you. As for the CNN stories… there are many! I will have to dive into the old musty shelf and dig up some bloopers for you. Thanks for stopping by and thanks for continuing to be my bloggy inspiration! You’re too kind. And I bow to you…Not only do you own a pink tiara, you KNOW WHERE IT IS! Welcome back Rachel. While you were – let’s say, away – I believe I mentioned you in one of my blog posts. So you see, people were thinking about you and wondering where you’d gotten yourself off to. Looking forward to the fun stuff ahead. Hi Jansen, well if that doesn’t totally prove what a doofus I am, I’m sorry I missed your mention, but thanks so much for thinking of me and for coming and joining in on the Social Alchemy fun. Hi Myn!!! Thanks for the confetti…. throwing you kisses! Welcome back, Rachel! I feel you. Although I have loosely kept up with mine (sort of) through the summer, I feel I still need to narrow in on my focus and find the passion behind it. So glad you got your kick start! Yay!!! I’m wearing my party hat and blowing the whistle. Debra, I think you have a great series going with “Immortal mondays”I always learn something new and interesting. I’m a big mythology fan from way back (get it??? way back… sorry, that was lame.) Good luck and thanks again for stopping by. Welcome back, Rachel! I really love the new tagline and your blogging theme days sound really good. They offer leeway but still give direction. Welcome back, Rachel. “Social Alchemy” is an excellent tag line, and I look forward to mixing and mingling here. Usually, just as I feel life, blogging and everything else is hopeless, someone makes a comment that makes my day and everything’s good again. Hi Nigel! Oh, how I have missed hearing from my favorite Limey bloke. I’m so glad it is all good agian, and I’m so glad you stopped by the party. You are AWESOME. See you ’round the web. Hi ElliAnn, thank you so much for stopping by. 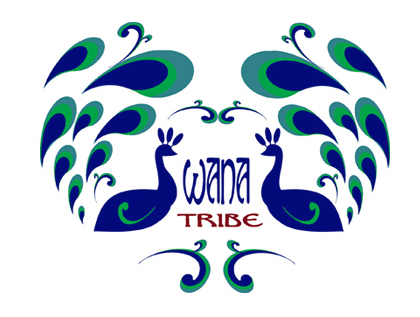 If it weren’t for WANA, I would still be scribbling away in the dark, wondering if there were any other kindred souls “out there” in the world, but now we can all party away at MyWANA and on the WANAtribe. Good luck with your work and I’m looking forward to hearing from you again soon. Hi EA! Something is wrong with my reader! I haven’t been getting your posts! Glurg! I’m unsubscribing and resubscribing! What the deuce! So glad you tag me for Tall Tale Tuesdays! Hi Marcy, I realize too that I have all kinds of friends from all sorts of areas in my life — CNN, the Hawaii theater community, my local writers group — so I’ll be adding them to the roster. Should make for a very interesting party. See you on the WANA side. Next year, Renee! 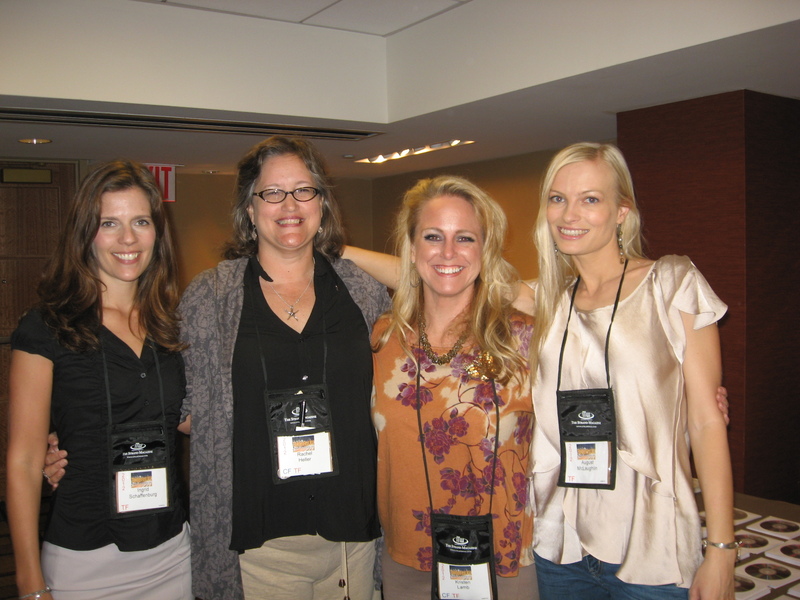 The WANA Tribe is going to take Thrillerfest by storm. We had far too much fun. Looking forward to following you at Teachers and Twits.